Welcome to Air Fresheners and More! Your single source for commercial grade automatic air fresheners, hand held room deodorizers, solid air fresheners, odor neutralizers, aerosol air fresheners, timed air freshener dispensers, gel air freshener, bathroom air fresheners, scented oil and other related air freshener products featuring top air freshener brands like TimeMist, Technical Concepts, Champion Sprayon, Fresh Products, Rubbermaid Commercial, F-Matic, California Scents Professional and Amrep Misty. Whether your looking for a battery operated automatic metered spray air freshener system to deodorize your bathrooms around the clock, natural air fresheners, hand held air freshener spray to deodorize as needed or you simply want a solid auto air freshener for your car, office area, bathroom, reception room, restroom, smoking area, kitchen or home, Air Fresheners and More has what you need at unbeatable prices every day. 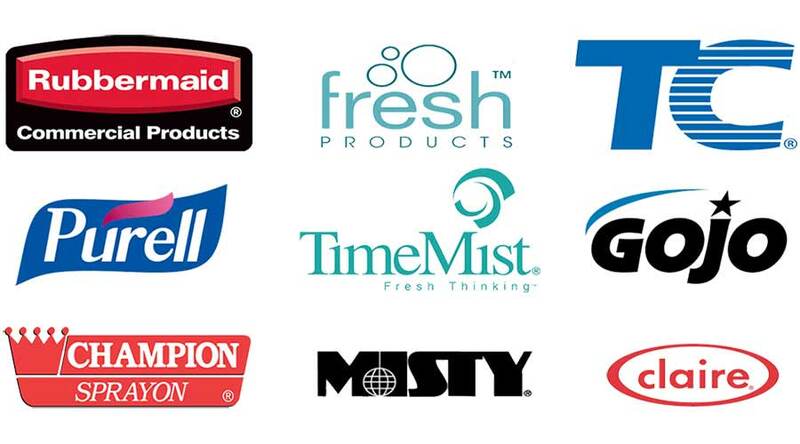 Browse our huge selection of metered spray aerosol air freshener refills, fragrance cassettes, cartridges, cups, deodorant blocks, urinal screens and other related odor control products by clicking on the categories above. Another popular way of searching our website is to use the simple search box above and inputting the air freshener scent like citrus, cinnamon, apple, mango, lemon, cherry, orange, strawberry, watermelon, pina colada, baby powder, linen fresh, spring flowers, creamsicle, cucumber melon, raspberry, bayberry, vanilla, buttercream, yankee candle, ozium or any other air freshener fragrances that you can think of.